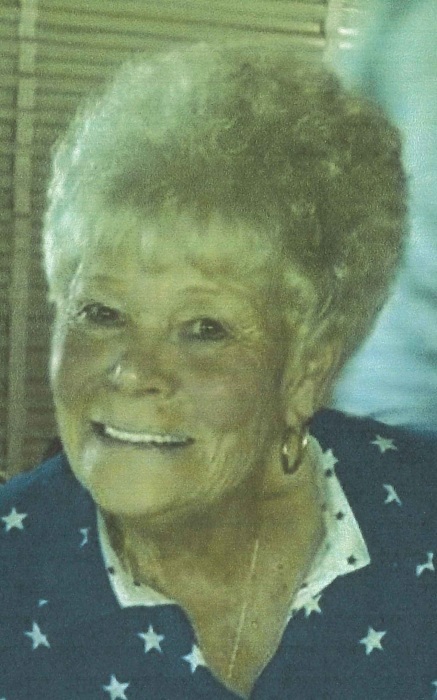 Mrs. Carolyn Jean Green, 78, of Hagerstown died unexpectedly Wednesday, April 10, 2019 at Meritus Medical Center. She was the wife of the late Clarence O. Green, who predeceased her on July 2, 2005. Born February 26, 1941 in Olney, MD, she was the daughter of the late Ralph and Mildred (Howes) Ray. Carolyn previously worked as a cashier at the Dollar Tree in Hagerstown. She is survived by her daughter, Sharmarie Green of Williamsport; brother Wayne Ray; grandchildren Amanda Marie Green and Andrew B. Green; great-granddaughter Penelope; step-son Kelly Green, numerous cousins and her fur babies Kimmy and Emmy. She was predeceased by her son, Clarence O. Green, Jr. (C.J. ); her sister Betty L. Calloway, brother Ralph M. Ray, Jr.; step-daughter Tammy Green and step-son Kim Green. She will be greatly missed by her special friends Ann Beauchamp, Alma Dade and Karen Mohler. The family will receive friends on Tuesday, April 16, 2019 from 6-9PM at Stauffer Funeral Home, 1100 N. Maple Ave., Brunswick, where funeral services will be held on Wednesday, April 17 at 2PM. Interment will follow in Furnace Mountain Presbyterian Cemetery in Lucketts, VA.